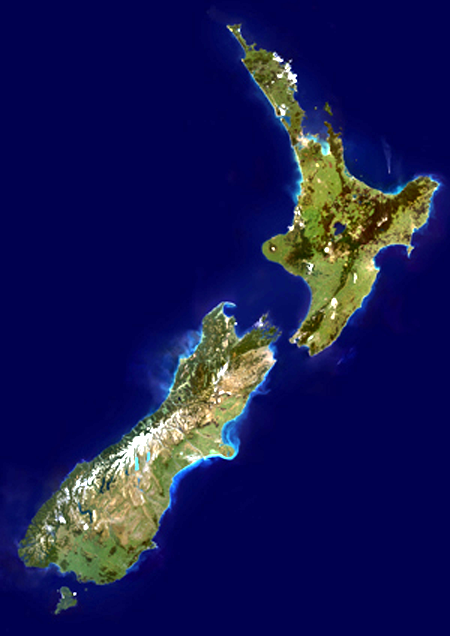 Geografi og geologi: New Zealand er en østat og republik i Oceanien, Stillehavet. Det tasmanske hav / Tasman Sea, som er en del af det sydlige Stillehav, er farvandet mellem Australien og New Zealand. Niue. Tokelau. Naboer: Australien og Antarktis. Tasmantis eller New Zealand kontinentet Zealandia. Nutidens New Zealand synes ikke at være et kontinent, men blot en gruppe af øer i det sydlige Stillehav. Men meget af New Zealands område findes under de kystnære farvande. Dette er Zealandia - New Zealand kontinent, et stort fragment af den tidligere super-kontinent Gondwana. The National Library of New Zealand / Te Puna Matauranga o Aotearoa. The National Library of New Zealand / Te Puna Matauranga o Aotearoa: Papers Past. Papers Past was launched in 2001, with 250,000 pages from historic New Zealand newspapers. New titles have been added regularly since then, and the whole site was re-launched in 2007, with a new interface that added full text search for a third of the collection. The whole collection was made searchable by mid-2009. Papers Past contains more than three million pages of digitised New Zealand newspapers and periodicals. The collection covers the years 1839 to 1948 and includes 119 publications from all regions of New Zealand. 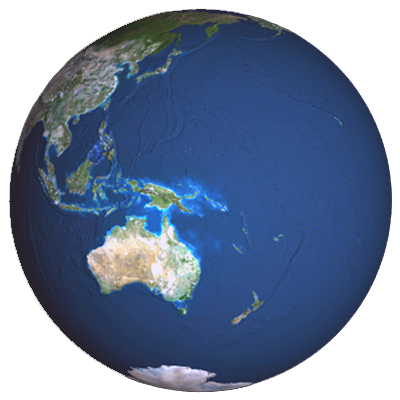 New Zealand var sammen med Australien medlem af ANZUS og SEATO under Den kolde krig og er medlem af Antarktis traktatsystemet / Antarctic Treaty System, the Association of Southeast Asian Nations (ASEAN), FN, det internationale energiagentur, the Pacific Islands Forum. Forsvar / militær: SIPRI: Militærudgifter / Military expenditure of New Zealand. Værnepligt: WRI: Country report and updates: New Zealand. Efterretningstjenester: Government Communications Security Bureau, herunder GCSB Waihopai, Security Intelligence Service. Erhverv, handel og industri: Atomkraftværker.